The Whitsundays are always blooming full of romance, hosting cute couples and are often the site of weddings, proposals, anniversaries and more. There is a reason why romantics keep coming back, and that’s because the Whitsundays themselves inspire love and romance and bring out the best in people! We’ve planned the perfect romantic day in Airlie Beach during your next Whitsundays trip to inspire you and help you achieve the perfect day with your loved one. 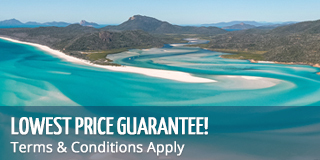 The Whitsunday region is famous for its beautiful tropical islands, secluded colourful reefs, fun seaside towns and of course, its stunning beaches. We’ve listed a few of the well known and a few of the not-so-well-known to inspire you for your next day at the beach. Bring along your beach umbrella and sunscreen and get ready for a day of fun and adventure on one of the many beaches found in the Whitsundays. The Whitsunday are nothing, if not romantic! Here in this beautiful part of Australia, we have all the makings of a romantic getaway, with everything you will need for an intimate escape with your loved one! Imagine lush tropical islands, lulling blue waves, sandy white beaches, hidden tropical coves and perfect hideaways where you and your loved one can escape into romance. It’s the ideal place for honeymoons, anniversaries, proposals, weddings, or just for a romantic weekend away where you want to try something new and enjoy the island life! Wondering where to buy alcohol for your Whitsundays boat trip? Well you found the right spot. Here are three choices to buy cheap alcohol in Airlie Beach. Daydream Island has welcomed its first guests since reopening its doors on April 14, 2019. The much-loved resort has been closed for almost 2 years following Tropical Cyclone Debbie, but is now back in full swing and encouraging guests to book, visit and come see their beautiful new look! We are all pretty aware that plastic is a problem. We consume it in mass quantities on a daily basis, flooding our waterways, landfills and oceans with unnecessary waste. While sometimes plastic is required, there are still many ways to avoid using it and to cut down on your carbon footprint. If you have travel coming up and you want to be more green, cutting down on plastic is a good way to go. What is the best beach in the Whitsundays? The best beach in the Whitsundays is up for argument as there are many stunning beaches in the area loved by locals and tourists alike! Officially, the most well-known and famous beach is Whitehaven Beach on Whitsunday Island, but there are plenty of other beaches in the area that are known and loved for many other reasons. Airlie Beach is a tropical destination where many cruise ships stop and enjoy the seaside town and Great Barrier Reef Marine Park. Throughout the year, many tourists, including those from cruise ships, stop for the day to snorkel, swim and see the sights! Day trippers often take advantage of shorter day trips such as scenic flights and other fun activities that will allow you to see the best of Airlie Beach!